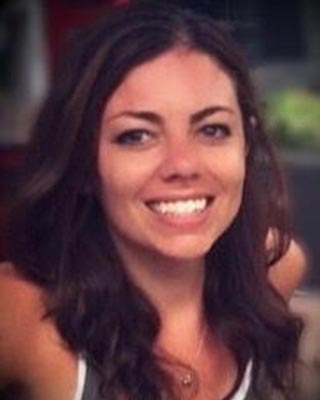 Dr. Carly Johnson is a Licensed Clinical Psychologist who earned her Doctorate in Clinical Psychology, Master’s in Counseling Psychology, and Certificate in Child and Adolescent Psychology from Adler School of Professional Psychology in Chicago, Illinois. She completed her clinical internship and postdoctoral residency at Community Reach Center and its affiliated public schools in Adams County, where she provided an array of psychological services. 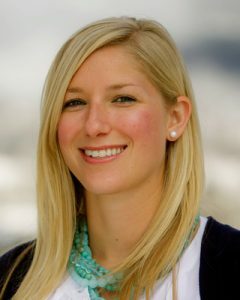 Dr. Johnson approaches therapy with compassion and warm regard for clients’ diverse perspectives and unique experiences. Using an integrative and holistic philosophy, she draws from a variety of theories and techniques to address difficulties in living and to help clients and families access and make use of their own strengths and inner resources. Throughout treatment, Dr. Johnson seeks to empower clients, provide tools for coping, and bridge connections between thoughts, feelings, and actions to allow for awareness and healing. An important component of her work with clients is experiential, which involves exploring how interactions in the “here and now” of therapy can extend to other aspects of clients’ lives. She believes that a trusting and safe therapeutic relationship can build foundation for increased insight, expanded awareness, meaningful goals, and positive changes. Dr. Johnson’s ultimate goal is to collaborate with her clients on their paths toward purposeful and fulfilled lives. Currently, Dr. Johnson offers individual, group, couple, and family therapies as well as clinical outreach and psychological assessment services. She is also experienced in therapy with children and adolescents in public and private school settings, residential treatment with high-risk youth in the custody of the state, and outpatient community mental health center services. Dr. Johnson is passionately dedicated to her extensive recovery-oriented work with children and adults who have experienced a variety of traumas and losses. When clients are in distress, they often need help finding options and viewpoints they’re too overburdened to identify on their own. In session with Michelle, you’ll explore not only the obstacles and challenges you face, but the possibilities that exist beyond them. Whether you’re looking to make changes in your life or confide in someone about what you’re going through, you’ll feel understood, safe, and genuinely cared for. Michelle’s treatment approach is integrated and draws from attachment, cognitive neuroscience, humanistic, psychodynamic, and solution-focused perspectives. She has deep respect for her clients’ values, goals, life experiences, and personal strengths. In addition to individual psychotherapy with adults and adolescents, Michelle is available for a range of psychological and neuropsychological testing needs, including comprehensive evaluations. She specializes in complex diagnoses. Michelle completed clinical training for her master’s degree at the former Dreikurs Psychological Services Center and St. Leonard’s House in Chicago, IL. She spent her doctoral training years treating military veterans at Captain James A. Lovell Federal Health Care Center, where she assessed TBI in the hospital’s brain injury unit, evaluated and diagnosed brain dysfunction in the neuropsychology testing laboratory, and was involved in program development for the partial-inpatient center. In addition to her work in private practice, Michelle is a writer and senior editor for an academic publishing company with a focus on medicine and social sciences.